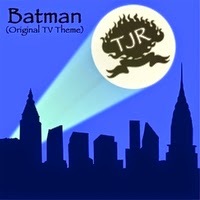 TJR - Batman (Original TV Theme) single release. TJR is a gifted musician, who has wanted for a long-time to record and release the original Batman television instrumental theme tune. What a blast of a version. TJR has pulled-out all of the stops to give us a cranked-up, funky rockin' version.